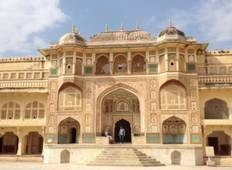 Find a Coach / Bus trip that explores India. There are 18 tours to choose from, that range in length from 7 days up to 18 days. The most popular month for these tours is October, which has the most tour departures. "Shan is the best TM! Funny, organized, and knowledgeable about all the locations!..." "My Fiancé and I did the 8-day golden triangle tour which was a great way of seeing..."
"This trip with Solo Travellers to Kerala was an extraordinary experience. A once..."
"Kerala December 2017 I came straight from the Nepal trip to this trip. Straight into..."